JoLynn Markison, a partner at Dorsey & Whitney, said focusing on employment litigation and advice combines her interest in psychology and the practice of law. Particularly during employment investigations, which Markison said she likes, unlike most attorneys. Advising clients is a bigger part of Markison’s practice since she became a partner in early 2017. 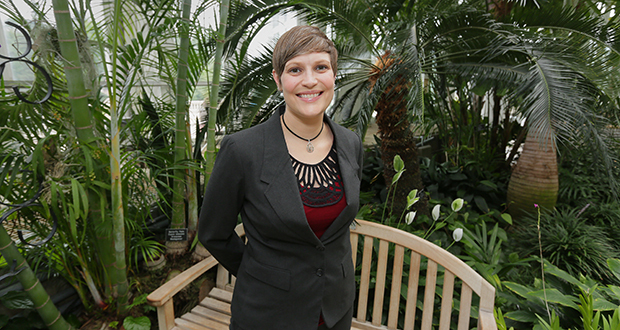 A psychology major, Markison worked at a residential wilderness therapy program in Florida and foster care and child protection for Scott County before going to law school. She began her legal career as a general commercial litigator. A. Ask about my kids or tell me about your kids. I have a 6-year-old and a 2-year-old. They are my favorite topic to talk about. A. I was debating whether I wanted to go to graduate school or do something else. At the time I had a high school classmate who was in law school and our moms happened to be friends. My mom kept saying Sarah, who was my high school friend, is telling her mom she thinks you should think about law school. I had never given it any thought. The work I was doing was challenging but not academically challenging and I missed that piece. I took the LSAT and applied to law school on a whim. I needed a three-year year plan and it turned out that law school was my three-year plan. A. My favorite books are science fiction fantasy, which maybe makes me sound like a dork, which is probably a little bit accurate. Right now I’m rereading “Running with the Demon” by Terry Brooks, probably my all-time favorite author. A. People who don’t listen. My other pet peeve is people who make loud chewing noises when they’re eating. A. I really like spending time with my clients. I also really like being in trial. Part of that is that it’s an intensive block of time to spend with my client or clients. I’ve had great opportunities at Dorsey to have a healthy [public interest] pro bono practice. A. It’s hard to juggle being a mom and being an attorney, especially with little kids at home. It’s important that I do both really well, and sometimes it’s a difficult balance. A. Parenting is my favorite activity. Before I had kids I used to do triathlons and so at some point I would like to get back into doing that. A. I would probably take them to my mom and dad’s house in St. Cloud. My parents still live in the house that I grew up in. I love my mom and dad, so anybody who wants to know me, a good way to do that is to meet my mom and dad and see how I was formed. A. Ruth Bader Ginsburg. She’s such a strong advocate on the Supreme Court. She gives me hope. I know that she’s an ally of the LBGTQ community, and I’m a gay woman and a gay attorney and I’m proud to see the work that’s she’s done advocating for LBGTQ people, for people of color, for immigrants.